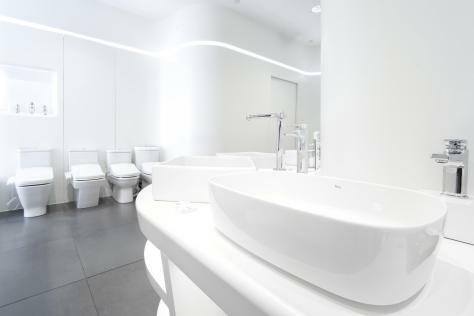 Began with the first factory in Gavà, near Barcelona in 1917, Roca has established its reputation as the global leader in bathroom products, known for its outstanding products, exclusive customer care, as well as its great vision in promoting design, innovation, and sustainability. Started with manufacturing domestic heating systems, Roca entered the world of bathroom products with its first production of baths in 1929 and has been exploring different materials and technology, including the productions of chinaware and brassware respectively in 1936 and 1954. Since the 90s’, Roca has extended to different markets worldwide, including Portugal, France, United Kingdom, Germany, Italy, Russia, Morocco, Argentina, Brazil, China, Eastern Europe, and the USA. Nowadays, Roca has become the world leader of bathroom product, with the remarkable commercial network over 135 countries, 76 production plants, and more than 20,000 employees in the world. 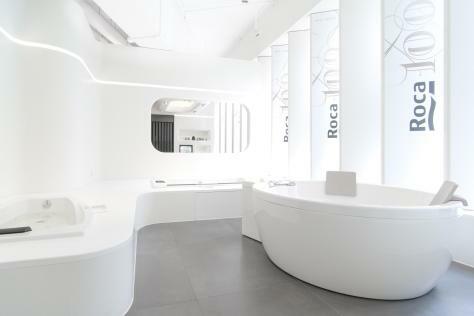 RocaConcepts is a first concept store in Hong Kong of Roca, the global leading bathroom brand. The organic, all-white space showcases a broad range of chic, innovative and eco-friendly bathroom appliances and accessories, including toilets, washbasins, baths, cabinets, as well as tiles and coverings, for the urban society. Designed by excellent interior and product designers around the globe, Roca’s high-quality products satisfy people’s needs and desires, while providing creative solutions to improve bathroom experience in the modern days. In the belief of ‘Roca Loves the Planet’, the space demonstrates how green concepts, excellent design, and high technology can seamlessly integrate into the contemporary lifestyle. With the aim of achieving sustainability, Roca’s products are sophisticatedly designed to minimize water and electricity usage with the latest technology. Also, RocaConcepts is dedicated to providing its customers with excellent care. From detailed and user-friendly instructions to attentive and efficient after-sales service, it secures an extraordinary experience for its users in every way. RocaConcepts is more than an ordinary store. It is an interactive concept store to experience the harmonious bathroom space created by Roca and to share its vision of a better, greener future.